The Division of Transfusion Medicine is internationally known for expert diagnostic and consultation services. 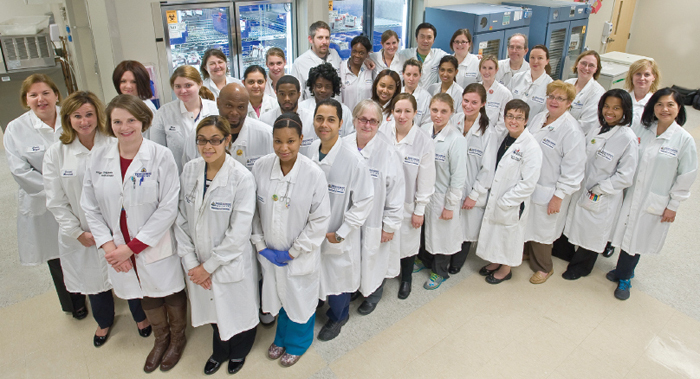 Comprehensive in its scope, the division includes a high volume clinical blood bank laboratory, an immunohematology reference laboratory, and a tissue bank. The Division of Transfusion Medicine is closely associated with the Hemapheresis and Transfusion Support (HATS) division, as well as the Johns Hopkins Center for Bloodless Medicine and Surgery.